ADAGIO Fort Lauderdale Beach is an exclusive and elegant boutique development lifestyle condominium in Ft Lauderdale’s new North Beach Village. Just steps away from Fort Lauderdale Beach. With only 31 luxury condominium residences directly on the Intracoastal Waterway. ADAGIO Fort Lauderdale Beach is directly located on 200' linear feet of the Intracoastal waterway, and on the quietest street in Fort Lauderdale's North Beach Village. ADAGIO has an ideal South Western positioned lot allowig for breathtaking views of the Intracoastal, year round bright sunny days, and spectacular sunsets. ADAGIO is an uber-luxury 10 story, 31 unit condo offering four (4) flow through floorplans per floor, ranging from 2,383 sf to 3,211 sf, and has a starting price of $1,890,000. Residences begin on the 3rd floor. Adagio broke ground on December 5, 2017 with completion slated for June, 2019. There is nothing in South Florida which compares to ADAGIO Ft Lauderdale Beach. Here tropical breezes can be enjoyed year-round as each Adagio residence boasts flow-through design and permanently uninterrupted panoramic views overlooking the Intracoastal Waterway, and downtown Fort Lauderdale as far South as the eye can see. Each Adagio coastal modern residence features a summer kitchen with grill, ice maker, and a wet bar on an incredibly deep terrace where entertaining large parties for the boat parade will be as effortless as an alfresco dinner for two. ADAGIO provide the highest level of luxury and quality where residents will have the advantage of working with GAGGENAU appliances. ADAGIO's features include 10’ ceilings with full height impact glass, deep, outdoor shaded living spaces, Private marina with no fixed bridge dockage, Rooftop Oceanview pool and sunset pool on Ft Lauderdale’s intracoastal waterway, electric-car-ready parking spaces, two private elevators per residence, European finishes, spacious floor plans with expansive water views, European cabinetry, Fitness center + yoga studio, Climate controlled storage, Emergency generator, and all units come pre-wired for window treatment and home automation. Design: Interiors by Steven G.
ADAGIO's prestigious Bayshore Drive address brings Fort Lauderdale Beach, Las Olas Boulevard, and fine dining only steps away. Call 305-494-1767 today for preconstruction pricing and reserve your ADAGIO Fort Lauderdale Beach condominium today! ADAGIO furniture-ready residences directly on the Intracoastal Waterway are incredibly priced starting at only $682/SF. Six slips are available for purchase in ADAGIO Fort Lauderdale Beach’s private marina featuring unrestricted ocean access and can accommodate up to a 53’ 6” boat. To reserve your "ADAGIO Fort Lauderdale Beach" unit Call or Contact Us or simply fill out your information below and be notified of up to the minute availability, preconstruction pricing, and information on how to reserve your "ADAGIO Fort Lauderdale Beach" unit today. Preconstruction Condo ADAGIO. Located ADAGIO Fort Lauderdale Beach 435 Bayshore Drive Fort Lauderdale Fl 33304. 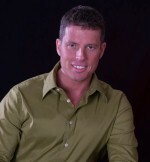 Contact 305.494.1767 Steve Samuels is known as one of the premier real estate brokers in the South Florida market. His negotiation skills, market knowledge and no-nonsense, results-driven approach has made him one of the most sought after luxury condominium and single family waterfront realtors from Miami to Palm Beach County. CondosandCondos.com is one of the Leading Miami Real Estate websites where you can find Condos for Sale. Search for Luxury Condos in Miami, Miami Beach, South Beach, Sunny Isles, Hallandale, Key Biscayne, Bal Harbour, Fisher Island, Coral Gables, and all of South Florida.